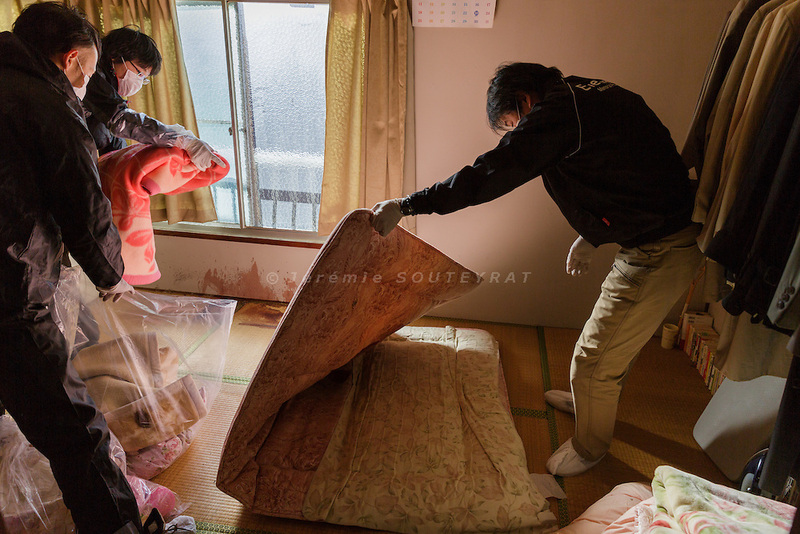 Nerima ward, Tokyo, Japan, January 13 2017 - Cleaning by a specialized company of a house in the Nerima area, where the tenant committed suicide on the second floor by wrist cutting. The tenant, a 40 yo man, lost his job one year before because of an illness and stopped paying his rent, after 10 years spent in this house. He had no family except his mother and his death was undiscovered during 2 weeks, until the doctor he used to visit tried to reach him. Since the 1980’s, Japan is experiencing the phenomenon of kodokushi (lonely death): people dying alone and remaining undiscovered for a long period of time. About 30,000 lonely deaths are happening every year in Japan.